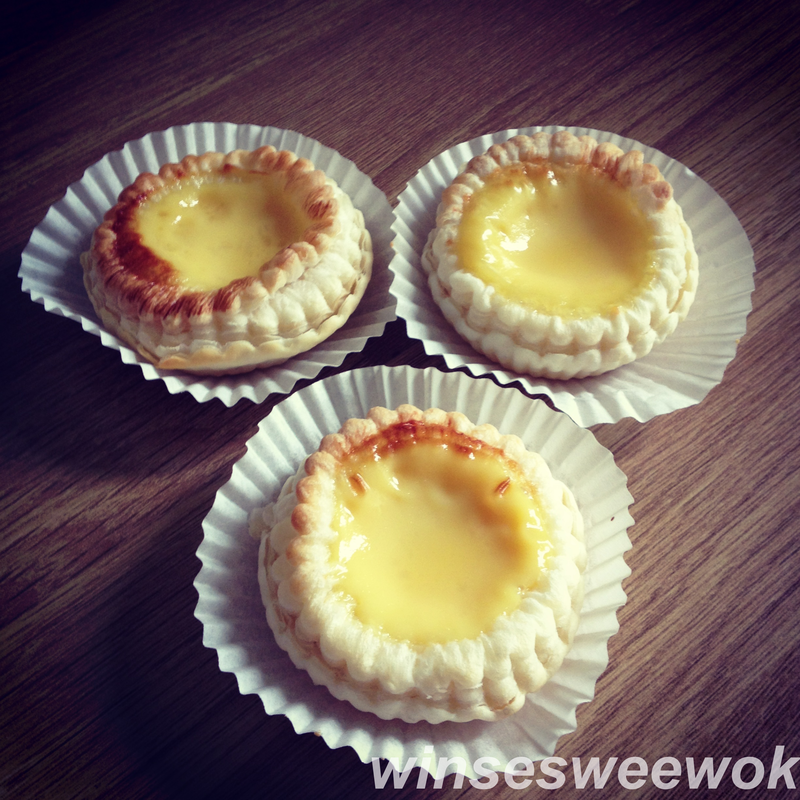 Custard tarts were introduced in Hong Kong in the 1940s by cha chan tengs. These Egg Tart are a very traditional Chinese snack and are very popular, commonly found in Chinese bakeries and Dim Sum restaurants. It has been listed by many food guides as one of the top 50 most delicious foods in the world. Whenever guests visited my grandma and grandpa they would bring a box of freshly baked egg tarts from the bakery. They were soon my favourite guests. Combine all the filling ingredients into a mixing bowl, mix well to form a smooth consistency liquid. Transfer liquid contents to a pouring jug. On a lightly floured work surface, roll pastry to form a smooth, rectangle pastry. With a rolling pin, roll the dough to about 30 x 50 cm. Cut the dough into small, crimped circles, carefully place the cut circles onto paper cases. For each pastry case, pour the filling liquid up to about 70% full. Place on the middle shelf and bake for 20 minutes. SERVE.